Founded in 2000 by Jon Lee, who has lived locally his whole life, Arbworx is still run by Jon and his wife Sophia, who employ a team of highly skilled landscapers who work on some of Sussex’s most exclusive properties. The APL Awards are the culmination of a year’s hard work for those in the industry, and are as highly sought after as a Chelsea gold medal. Membership of the APL means that member organisations are subject to spot checks by qualified professionals to ensure that their workmanship is of the highest quality and that they are up to date with the latest techniques and regulations. 2014 was the first time that Arbworx had entered the APL Awards, walking away with a Commended and a steely determination to top that result in 2015. 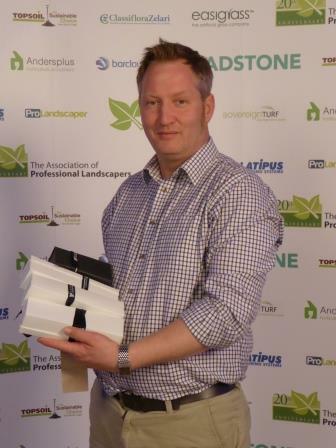 It seems that this determination, coupled with 15 years’ experience and an innate flair for garden design stood Jon in good stead as the project ‘Heavenly Garden Transformation’ for a complete garden makeover in Southwick, was shortlisted in a record three categories; Project Value under £25,000, Hard Landscaping and Overall Design and Build. Tension built for the team as they were awarded Highly Commended in the Project Value under £25,000 category, followed by Overall Design and Build. 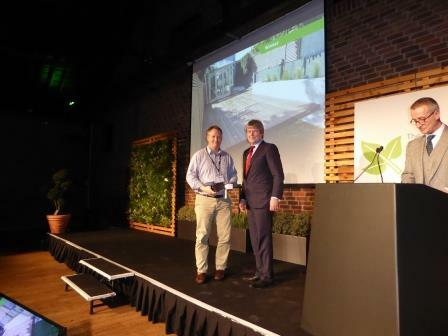 When compere James Alexander-Sinclair announced them as the Winner of the Hard Landscaping category there was elation and rejoicing around the table. Jon was subsequently interviewed by the organisers about how it felt to have won and gave an enthusiastic and surprisingly coherent response! This year’s judges were drawn from the top brands in UK landscaping; Richard Barnard from Hillier Landscapes, Bob Sweet, ex RHS Head of Garden Judging, Sorrel Everton from Gardens Illustrated, Robin Templar Williams of Robin Williams and Associates, and James Steele-Sargent from Arun Landscapes. 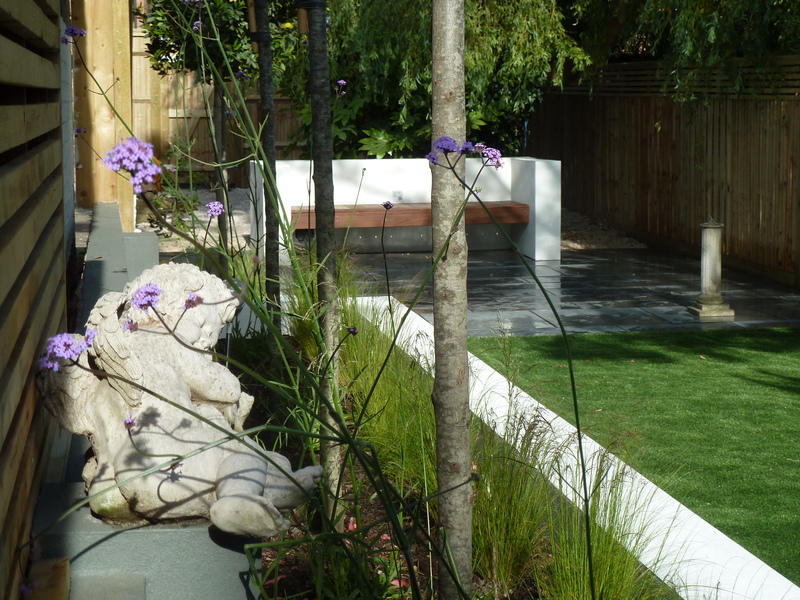 Arbworx’s eye-catching design, which incorporated timber decking, slate paving and low maintenance artificial turf, also retained two key features of the original space; an antique sundial and a small stone cherub, which added such charm to the garden that it inspired the project’s name.